Always-listening voice commands are a big thing now. You don’t need an Xbox one or Amazon Echo for this — just make your phone, tablet, or computer always listen for voice commands. These features don’t send everything you say to a central server. They just analyze the sound nearby until they notice you’ve said the activation phrase, and then they kick into action. Google added this feature to Android first, but Apple has followed — well, tentatively. There’s no way to have Siri on your iPhone or iPad always listening for your voice — Apple’s devices just don’t have the low-power audio processing chip they need for this feature. But you can have your iPhone and iPad always listen for voice commands when it’s plugged in and charging. To activate this feature, open the Settings app, tap General, and tap Siri. Activate the “Allow “Hey Siri”” option here. 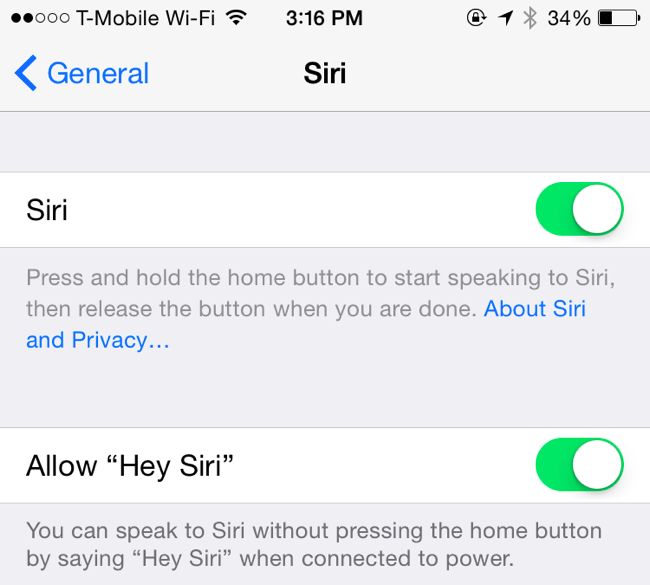 When your iPhone or iPad is plugged in and charging, you can just say “Hey Siri” out loud to activate Siri. So, if you plug it in every night when you go to bed, you can say “Hey Siri” followed by “Set an alarm for 7 a.m.” to set an alarm for the next morning. You shouldn’t have to pause after saying “Hey Siri” — just keep talking normally. 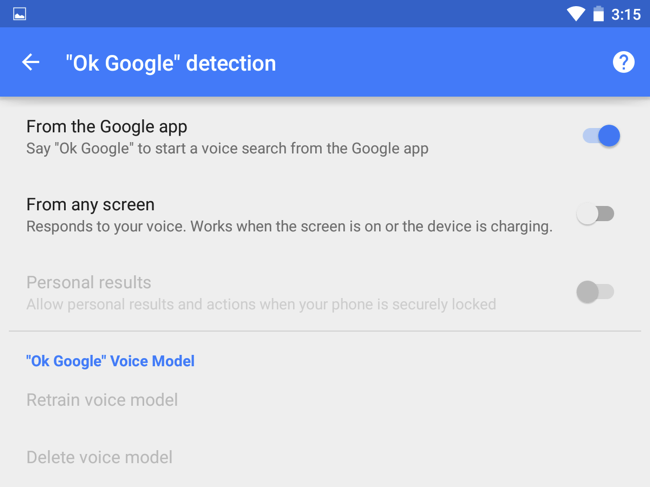 Android 5.0 Lollipop and 4.4 KitKat offer support for starting a voice command by just saying “OK Google” even when the screen is off, assuming your device has the hardware to support it. Even if you don’t have the special hardware, you can use “OK Google” from anywhere when your device’s screen is on or when it’s charging. 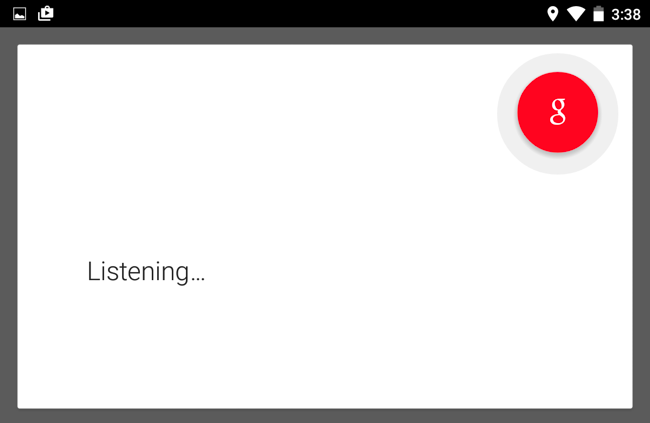 By default, it’s often just enabled for “From the Google app,” which allows you to say “OK Google” and start a voice command from within the Google app. You can also select “From any screen” and “OK Google” will work in any app when your screen is on — or while charging it. You may also be able to choose “Always on,” depending on your device’s charger. Choose this option and you can start using voice commands even when your device’s screen is off. The options here allow you to control whether personal results are shown when your screen is locked. These features haven’t really made their ways to desktop operating systems. Microsoft is working on Integrating Cortana into Windows 10, but it’s not available yet. 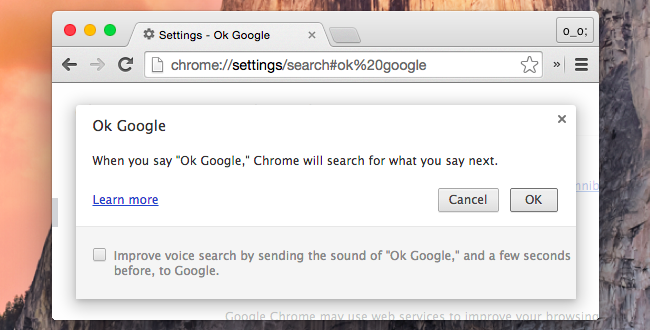 Apple hasn’t integrated Siri into Mac OS X.
Google has integrated “OK Google” support into Google Chrome. 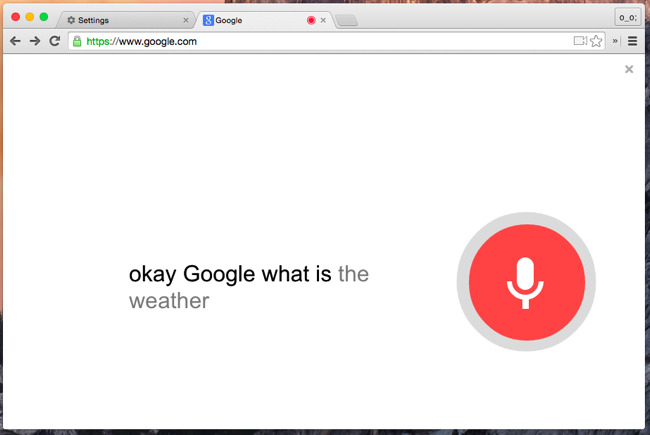 By default, you can click the microphone icon on the new tab page or Google.com to start a voice search. But you can also have Chrome listen for “OK Google” so you don’t have to click that icon. Visit the Settings page in Chrome and search for “OK Google” — or click “Advanced settings” and scroll down to the Privacy section. Enable the “Enable OK Google” check box. You can now open the new tab page or Google’s homepage and just say “OK Google” out loud to start a voice search. It doesn’t actually listen all of the time. Google’s experimenting with adding always-on “OK Google” search to Chromebooks so it’ll be available whenever your screen is on. Expect to see this feature in future versions of Chrome OS. Yes, there are voice commands built into Windows and Mac OS X but they’re probably not the sort of commands you’re looking for. They’re designed for navigating your desktop and are convenient, but they’re not the kind of smart commands you’ll find on a modern mobile device. They may still be useful — feel free to give them a look. Expect to see voice commands become more and more common going forward. They’ll be integrated into Windows 10 and modern versions of Mac OS X. On mobile devices, they’ll be easier to activate — even when running on battery power.